If you want your carpets too stay cleaner longer then this is a must do chore for every home with carpet. Hi I'm Kyle the owner of TLC carpet Care in Castle Rock Co and I just want to share some vacuuming tips in between your professional carpet cleaning. You have to do it at least twice a week, in all your high traffic areas as well as your entry way and especially if you have shag carpet. If we want a healthy indoor air environment free from pet dander, pollens, dust, dirt, soil, bacteria and other potential contaminants, TLC Carpet Care recommends you must vacuum frequently. 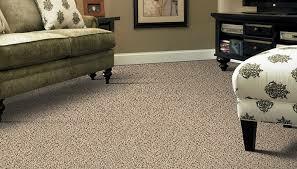 Vacuuming frequently extends the life of your carpet because it removes abrasive dirt like sand paper that tears through carpet fibers all the way to the backing and once that happens then you have irreversible wear. This can also be a source of molds and other bacteria. TLC Carpet Care also recommends that you make sure the vacuum filter is being cleaned regularly to make sure there are no obstructions and so your vacuum cleaner is functioning properly and efficiently. Now, I understand that caring around a heavy upright might not be good for your back, but there are lighter vacuums that are available as well. There are several of brands to choose from Sears, Dirt Devil, Hoover and so on. Cordless stick variants provide a different weight capacity that is perfect for spot carpet cleaning when bringing out full sized corded cleaner isn’t the way you might prefer. These are also great for carpet cleaning hard to reach areas like baseboards and areas underneath furniture and in between tight places. . But if you truly want to deep clean carpet you’ll need a vacuum with a powerful motor and strong enough agitation to pick up dirt trapped under carpet strands. TLC Carpet Care can recommend any vacuum but personally I like the Sears Kenmore Line the best. There high quality vacuums built very well and are designed for the very best extraction possible.